Let's find out together all about the 1.5 VX Navi variant of the Honda City 2018 Philippines in our full-scale review on Philkotse.com. Although the Honda City 1.5 VX Navi 2018 is not the top-of-the-line model, it is still alluring, in truth. That is why instead of giving an overall Honda City 2018 Philippines Review, we would love to have a more insight into this specific variant. Born in 1981 but not until 2014 did the Honda City make its official debut in the Philippines. At launch, this compact sedan was only available in three variants: the 1.5 E, 1.5 VX and VX+. In early 2015, with the added navigation system, the 1.5 E + Navi and 1.5 E CVT + Navi joined the lineup. From then on, the City has become one of the best-selling subcompacts nationwide. 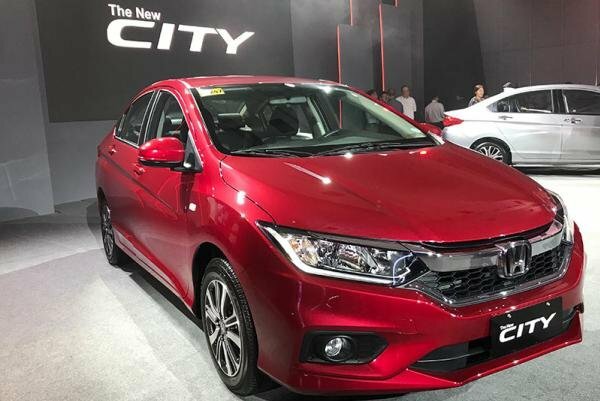 Back in May, Honda continues bringing a facelift version of the City to Pinoys drivers with a huge of revised updates, burning its long-standing ambition of re-affirming the City’s flagship title in sedan class. 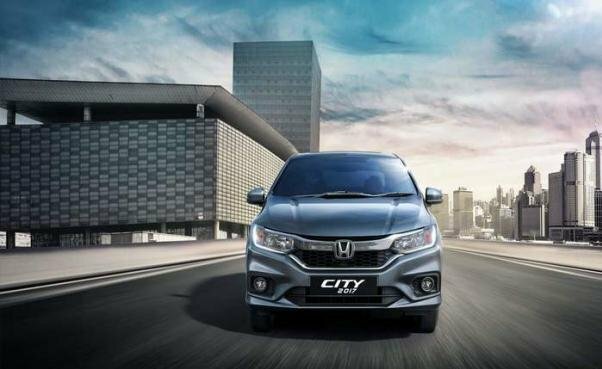 Modern look, commodious cabin, upscale features and good engine are outstanding things that make the Honda City a stellar in B-segment. Its name alone shows all of its purposes. But, is the City merely a city car? Let Philkotse.com help you to write down the story about this favorite car, more specifically, the story about the mid-spec Honda City 1.5 VX Navi 2018. Now, let’s commence the Honda City Philippines review together. To be honest, the new Honda City 1.5 VX Navi 2018 appears to maintain the silhouette of the original model. Still sharp appearance of a modern city car, but the City now features a raft of subtle upgrades. It can be judged that the City’s changes mainly cover the aesthetic. 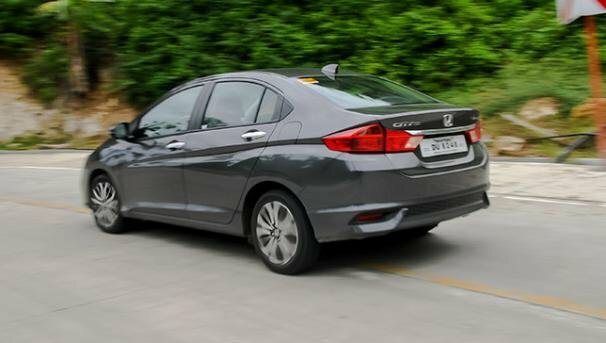 Similar to its siblings, the refreshed Honda City is bequeathed with Honda’s latest design sensibilities. Honda, in fact, badly wants to modernize its baby car even more by revitalizing the front end. 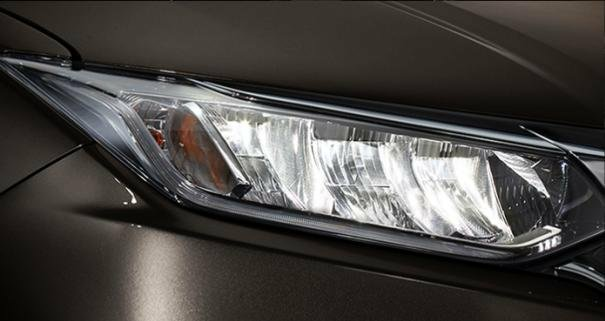 Accordingly, the sedan receives new LED headlights with LED Daytime Running Lights and even, fog lamps are likewise LED. The front fascia is also re-profiled with new Solid Wing grille and front bumper while the air intakes currently get smaller, unintentionally creating a perfect proportion. Moving backward, you can spot new bi-tone 16-inch alloy wheels, revised tail lights and a sportier and more aggressive rear bumper. All things considered, some renewed styling cues make the new 2018 Honda City exterior more gracious yet still nippy and sporty. It must be recognized that the City has managed to differentiate itself from the shade of its big brother Civic. It goes without saying that the 2018 Honda City interior is one of the best looking city car in the class. It is so appealing that the Japanese marque doesn’t need to do much with it. If just throwing a glance, however, it’s really hard to see any alterations. Hence, let’s reach closer enough. Only by changing the trim color and some accent pieces, the cabin looks more elegant for now. Particularly, bright silver highlights on the dashboard are replaced by a bass tone – metallic grey. The red hazard switch on the previous model becomes black, besides. Also, disturbing blue surrounds in the last City have completely disappeared and the push-button start/stop is sedated with new monotone color. In the interim, the analog gauges are new but brighter, making them much more legible. Further, the touch panel climate control system appears to be born to fit the cabin design, frankly speaking. It is the up-to-the-minute 7-inch touchscreen that immediately piques our interest. It is intuitive, responsive and fully compatible with voice control, Bluetooth, satellite navigation system and all connectivity options, embracing the Miracast smartphone mirroring. In terms of utility, 12V sockets are mounted front and behind the center console, so your phone charging will be much effortless. Exclusively, we can’t give the tilt and telescopic steering wheel adjustment a miss which allows drivers to enjoy a comfortable driving position during long trips. Overall, there is nothing to complain about the practicality of the cabin but the lack of physical controls and knobs for the climate and infotainment system. The climate control system, candidly, is nice yet difficult to use. Another handicap for user is the absence of cup holders. No matter where you seat, front of back, the inside space of the Honda City 1.5 VX Navi always deserve the top-notch for a subcompact sedan. Let alone the 6-way adjustability front seats, the rear rows already sit comfortably three adults owning to the flat rear floor, roomy leg- and head-room, 3-point seat belts and adjustable headrests to boot. Still, if you are constantly in car around three hours, you will feel some throbbing aches due to the thin padding. On the subject of cargo space, a 536-liter trunk capacity is perfect comparable to other saloons. 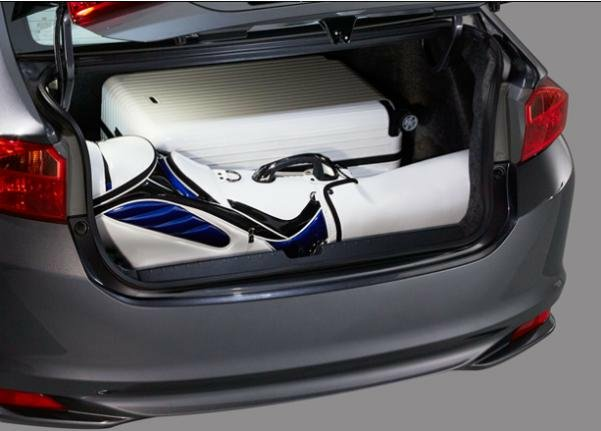 This expansive trunk can be full of all necessary belongings for your family adventures. 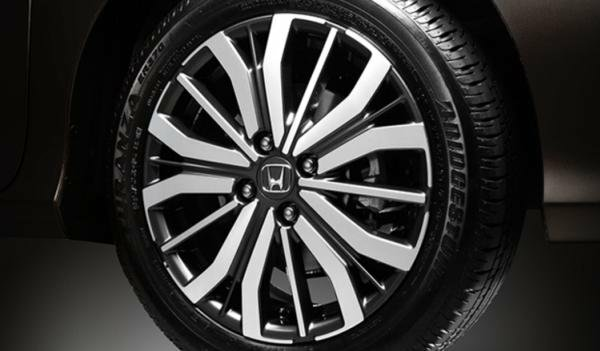 We’re never skeptical about life saving features of a Honda and the City is no exception. “Powerful”, “efficient” and “eco-friendly” are three predicative adjectives describing the Honda City 2018 in general, and the 1.5 VX Navi variant in particular.. 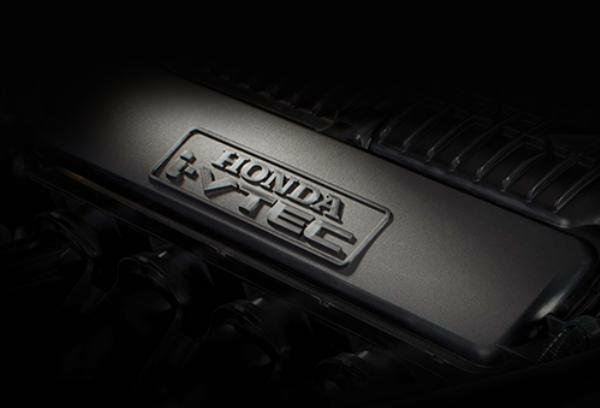 Remaining the Euro-4 compliant 1.5-liter SOHC i-VTEC gasoline engine as the last City, the Honda City VX Navi 2018 can crank out 120 hp at 6,600 rpm and 145 Nm of peak torque at 4,800 rpm. Power is fed to the front wheels through a 7-speed CVT transmission in place of a conventional automatic. Sadly, it is the CVT that somehow limits the Honda City performance. In spite of good performance in daily urban driving, the reaction seems to be short of credibility when poking it. But this can be overcome thanks to ECON mode. On account of the impressive engine, a balanced chassis and suspension system, the VX Navi is undoubtedly a hot city commuter. Keep assured as the City will take in all road imperfections then give you the safest rides as well as a lot of fun. The saloon, on top of that, challenges the highway roads at an average speed of 90 km/h thanks to those same qualities. Long trips are also affordable with the additional comfort from the cruise control. The City, what’s more, still provides a right amount of flushness and hauls when moving through mountain roads regardless of the shortage of hill start assist. Not a sports or performance sedan, but the vehicle can completely bring you more enjoyment on mountain paths. In the main, it gets us shocked by big capabilities in such a tiny sedan. 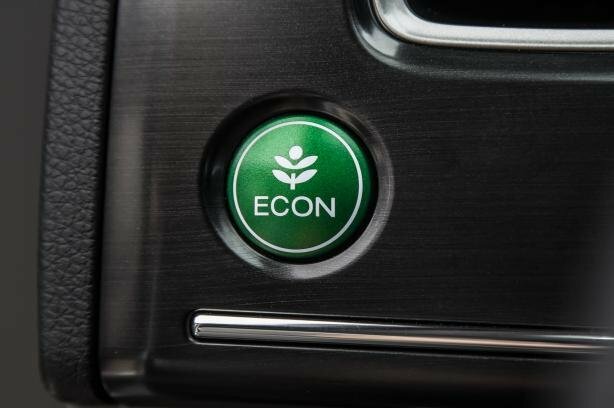 Last but not least, the ECON mode button is also a vital element contributing to the City’s operation. This button has a huge effect on the fuel economy, conspicuously during heavy traffic when we don’t need to drive at a lightning speed. Yes, once the ECON is activated, the City will crawl at 15 km/h and surely, achieving decent consumption of 6.1 km/L only. Overrunning the traffic lights, it still shines with a 12.4 km/l consumption reading at 60 km/h. On the highways, the Honda City 1.5 VX Navi is able to return a mileage of 18.9 km/h. 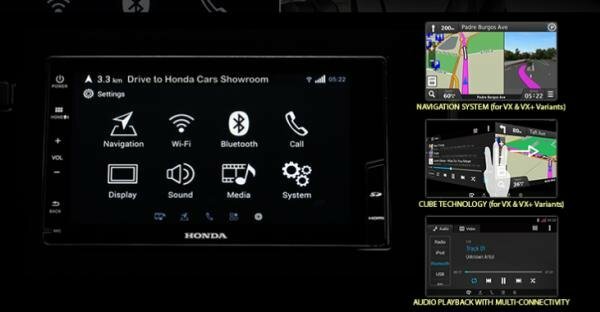 Concerning the price, we can make sure that this aspect will totally persuade you to add the Honda City 1.5 VX Navi 2018 on your wishlist. “Immune to inflation” is what Pinoys talk about it as well as the City lineup. 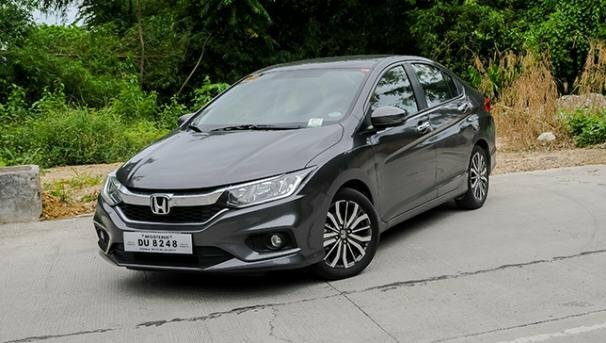 Notwithstanding additional qualities, Honda still sells its flagship city car at a bargain of ₱958,000, which remains unchanged when compared to the outgoing version’s. In closing, Honda truly did well with its “City”, dare we say it. In defiance of being replete with full of essential attributes, the vehicle accomplishes its missions without difficulty. To be frank, the Honda City 2018 goes beyond the concept of a city car that its nameplate tells us. Time has flied and more and more competitive players run in the big race for buyers’ heart. However, Philkotse.com reckons that the Honda City will soon challenge the positions of its contenders in the B-segment, even subcompact SUVs’.